Madison Equities is a real estate development company respected for its creativity and commitment to innovation through design and forward thinking. Founded by Kenneth and Lucille Gladstone in the mid-1960s, the company is known for its development of high end residential, office, hotel, and mixed-use properties in Manhattan. In its second generation of family ownership, the Company is now led by Robert Gladstone who joined the business in 1972 and assumed the helm in 1992. 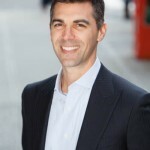 In December 2009, Tony Labozzetta joined Madison Equities as its president. Tony oversees the Company’s daily operations and is responsible for all aspects of project finance and deal structuring. 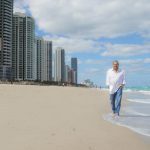 Prior to joining Madison Equities, he ran the boutique real estate investment bank Wall Street Realty Capital, which he acquired from Cantor Fitzgerald after overseeing Cantor’s Institutional Property Group for 9 years. Michael Holloway, formerly the president of Gotham Construction, heads all the company’s construction activities. Michael has also had senior executive positions at Bovis and Plaza Construction. Andrew Harris, a fifteen year veteran of Madison Equities, specializes in hotel design and operations and also coordinates project design and marketing for residential projects. Madison Equities is a standout in its field because of its expertise across all aspects of real estate development including site selection, assemblage and possession, financing, zoning and permitting, contract negotiation, and innovative design. 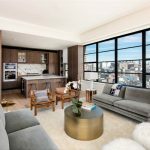 As a leader in the New York real estate development industry, Madison Equities is responsible for the development of many of Manhattan’s best known, award-winning properties. The company’s first major project was The Excelsior, a 47 story tower on East 57th Street designed by architect Philip Birnbaum. The Excelsior features 371 luxury apartments atop a 200,000 square foot commercial base and garage. At the time of its completion in 1965, The Excelsior was the tallest reinforced concrete residential property in New York City. The tower is notable in New York City real estate history because it was the first truly mixed-use building in the city. Continuing to creatively approach mixed-use development, Madison Equities completed The Galleria on East 57th in 1975. The tower, designed by architects David Kenneth Spector and Philip Birnbaum, combined 252 luxury apartments with 150,000 square feet of commercial space and a parking garage. The Galleria’s 57 stories made it one of New York’s, and the nations’, tallest residential buildings at the time. In 1981 Madison Equities unveiled a 750,000 square foot office property at 875 Third Avenue. 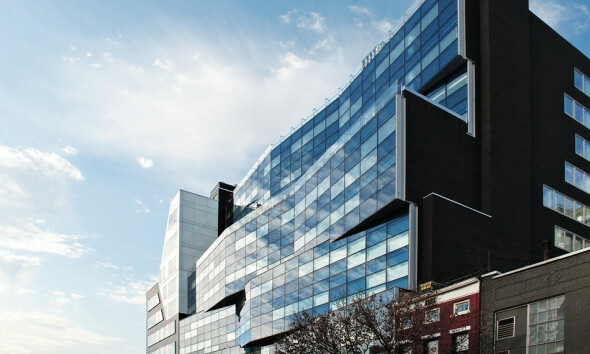 Designed by Bruce Graham of the Chicago Office of S.O.M., its black metal and glass façade, innovative multi-sided shape, and many atria made this property a standout at the time in New York’s real estate development. Headquartering some of the nation’s finest law, advertising, and investment brokerage firms, the building was designed to increase the windowed offices available to tenants. 875 Third includes over 30,000 rentable square feet of retail space, continuing the Madison Equities tradition of mixed-use properties. In 1981, Madison Equities also completed 245 East 50th Street. The mixed-use boutique apartment and medical building, designed by Architect David Kenneth Spector, won great critical acclaim for its planning and design. The Waterford, located at 300 East 92nd Street, completed in 1988, was the tallest structure in the Upper Yorkville section of Manhattan at the time of its unveiling. It was designed by Beyer, Binder + Belle. Madison Equities also developed the W Times Square Hotel, which was designed by Frank Williams. This 560 room hotel also included the world’s tallest signage tower. This concept had never existed before and its value greatly enhanced the tremendous success of the project. Another hotel, The Marriott Courtyard, designed by Vijay Kale, was the first hotel to be built on the Upper East Side in 75 years. The highly acclaimed Chelsea Modern, completed in 2008, is a 90,000 square foot, 47 unit condominium property located at 447 West 18th Street. Its undulating glass façade has made the Chelsea Modern famous, and the property has been recognized with seven prestigious awards for its cutting edge architecture and design. Shimmering ribbons of blue-tinted and clear glass shift in and out across the 12-story property’s surface, making a unique architectural statement. 57 Irving Place, completed in Spring 2009, is another jewel in the Madison Equities crown. Located just south of Gramercy Park, this 11 story boutique condominium houses 9 expansive residences of classically modern design. In both projects Madison worked with Audrey Matlock to achieve spectacular results with average sites. Madison Equities, in conjunction with Property Markets Group, is continuing its impressive legacy with the construction of 10 Sullivan Street. 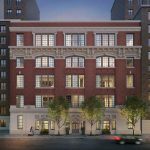 This residential condominium project now underway is located in New York’s exclusive Soho neighborhood. The 16-story flatiron-shaped tower will feature 19 apartments and four 25 foot townhouses, slated for completion by the second quarter of 2015. 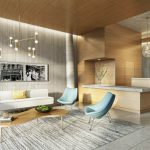 Designed by Cary Tamarkin, the building will be the tallest residential building in SoHo upon completion. Madison will soon begin development of the Hotel Belmont, a 170 key 35 story boutique hotel in midtown south near the Empire State Building and Morgan Library. The Hotel Belmont will feature several prominent food and beverage venues including a rooftop restaurant and bar by a renowned restaurateur. 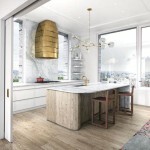 Madison is also currently working on finalizing deals in numerous other projects the company is actively pursuing, including a high-end boutique hotel in the West Village, a luxury condominium near Madison Square park, and a large site in midtown to be developed as a mixed-use property.